KIDS ARE AWED BY THE MAGIC OF DOMINO THE GREAT! 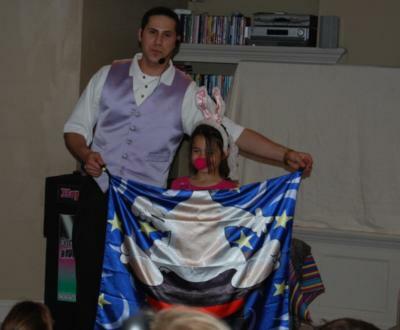 Connecticut's PREIMIER CHILDREN'S MAGICIAN PERFORMS SHOWS THAT KIDS GO WILD OVER and PARENTS LOVE THEM TOO. Finally a magician that performs top rate shows designed for the young and the young at heart. YOU'LL SEE A CHILD FLOAT 3 FEET IN THE AIR. YOU'LL GO HOME SCRATCHING YOUR HEAD, WONDERING—"HOW DID HE DO THAT?" Domino the Great has become an CT area favorite. 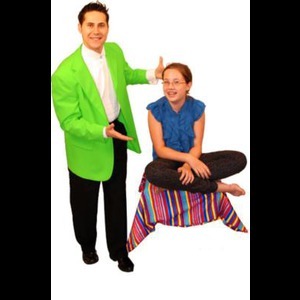 He has performed his shows at over 1000 elementary schools, preschools, child care centers, festivals, birthday parties, malls, churches, community centers and celebrations. His shows are filled with laughter and amazement. Domino is available for programs throughout Fairfield County and Connecticut State. NOW YOU CAN BOOK CONNECTICUT MAGICAL MIRACLE. Join the magical adventure as Domino the Great weaves 45 minutes of magic and fun that keeps audiences laughing from start to finish. Domino has a variety to shows especially designed for your event. Domino the Great has been recognized as one of America's top children's magicians. He performed at the WHITE HOUSE for the ANNUAL EASTER EGG ROLL. 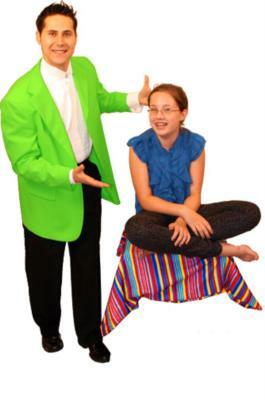 Isn't it time to treat your kids to the very best magic show ever? Call to reserve your favorite day before it vanishes. "Thank you for lending your incredible talent to celebrate our Easter Egg Roll. We appreciated your efforts to make the festivities memorable for all in attendance. Your energy and efforts helped make this White House tradition a successful event." President of The United States of America, Washington, D.C. This was a wonderful experience for my son Niall and all his friends. Ver nice and experienced preformer THANK YOU!!!!!!!! Please note Amazing Kidshow Magician: Domino The Great will also travel to Easton, Fairfield, Bridgeport, Hawleyville, Trumbull, Redding Center, Redding Ridge, Ridgefield, Georgetown, Weston, Botsford, Southport, Monroe, South Britain, Stratford, Westport, Redding, Shelton, Stevenson, Wilton, Norwalk, New Canaan, Derby, Greens Farms, Milford, Newtown, Ansonia, Bethel, Orange, Sandy Hook.